Grab an extra cup of coffee because your mornings are about to get a Great White Way-sized makeover! Lifetime Channel's award-winning morning show The Balancing Act will present the third season of its six-part special series Broadway Balances America, sponsored by Broadway Across America. Season three of the series, which takes you backstage of some of Broadway's most-beloved musicals, will premiere on the Lifetime Channel in August. 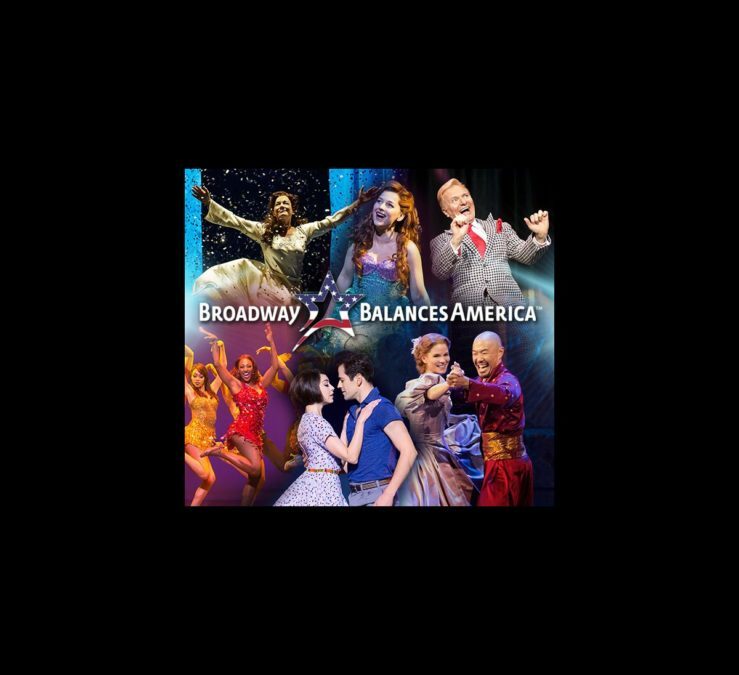 This season of Broadway Balances America provides behind-the-scenes excerpts and interviews highlighting the shows that are featured on Broadway Across America’s 2016-2017 Broadway series nationwide, including The Illusionists—Live From Broadway, the Broadway.com Audience Choice Award-winning musical Finding Neverland, An American in Paris, The Bodyguard, Disney's The Little Mermaid and the Tony Award-winning revival of Rodgers + Hammerstein's The King and I. The hosts get up close and personal with the casts and crews, even experiencing what it’s like to take the show on the road. So, do you want to know what the third season of Broadway Balances America has in store for you? Of course you do! You'll meet The Illusionists' Jeff Hobson (aka “The Trickster”), who'll pull off an illusion that'll leave you speechless; go behind the scenes of the new musical Finding Neverland with Tony-winning director Diane Paulus and Emmy-winning choreographer Mia Michaels; uncover the beautiful world within An American in Paris and find out how the stars maintain their bodies and minds while touring the country; head to Florida to meet renowned R&B artist Deborah Cox as she prepares to headline the national tour of The Bodyguard; get an in-depth backstage peek at Disney's The Little Mermaid; and take a closer look at the powerful, yet fundamentally different, female characters in Rodgers + Hammerstein's classic The King and I.